Recently, I decided to get back into programming. I used to be a computer programmer but have been a bit out of the loop for the past 10 years, although I’ve dabbled with various tools. Having started to dip my toes back in the water it seems that everything has changed and remained exactly the same. 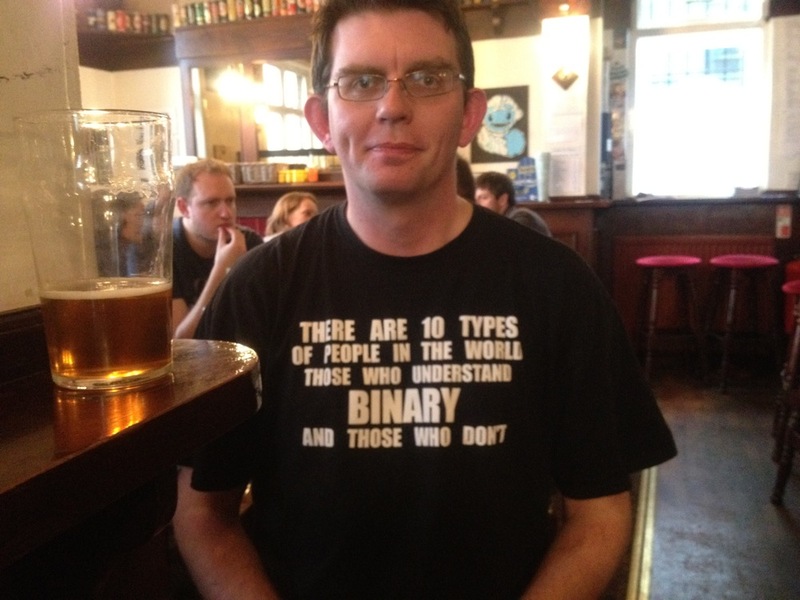 Reassuringly, the principles of programming are exactly the same, although a lot of the detail has changed. But the most radical change is access to resources. The internet is awash with examples, tutorials and discussions. At one time, visual programming seemed to be the way forward, and there are some excellent tools out there, including Max/MSP/Jitter, but the utilities I need to create require something more basic. At a recent panel discussion in The Showroom Cinema, entitled The Beauty of Digital, James Wallbank, CEO of Access Space, Sheffield, UK, compared the relative utility of the Swiss army knife and its British counterpart, and how this comparison works as a critical metaphor in the digital world. The British knife has only 3 blades: a sharp knife, a bottle / can opener and a marlinspike. The marlinspike is what we always refer to as “that thing for getting stones out of horses’ hooves”. However, as James pointed out, it is actually a tool from world of ropework and is used for undoing knots. It’s a spike, but not sharp-ended. 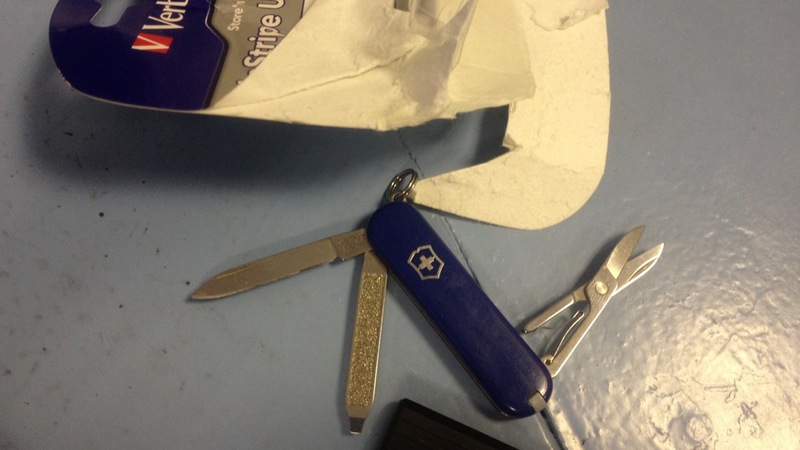 The picture above shows my own pocket knife which is small and elegant, but the scissors are only just strong enough to cut thin cardboard and the blade does not lock, so you’re in danger of of losing your pinky if you try to cut with it. I rarely use the nail file. For my purposes, the software development equivalent of the miniature scissors is Apple Automator. Every time I have attempted to use it I have found it is missing the one function that I need. I’m sure it is invaluable for some purposes but not for me. My blunt instrument of choice is Bash aka the UNIX shell, and it can be compared to the marlinspike, currently absent from my all-purpose toolset. Sometimes it’s necessary to just get the knot untied, even if it’s not a pretty sight. With digital video, shooting is easy, and that’s the problem. It’s too easy to accumulate hundreds of gigabytes of media, but publishing it in a useful form is very difficult, and this is where all that redundant technology comes in. UNIX, in the form of the free, open-source Linux, will run on pretty much any old computer and can give machines that cannot run current operating systems a new lease of life as workhorses. Software libraries such as gPhoto2, FFMpeg, mencoder, transcode, ImageMagick etc are amazingly powerful, but you’ve got to get your hand dirty and learn how to program them, rather than just checking options. My first attempt at installing Linux on an old PowerMac G4 comprised 2 hours of mostly waiting as the installer downloaded software, then a further 4 hours failing to get it to work with the monitor. It’s not for the faint-hearted. Fortunately, my heart is not faint, and I am getting a lot of help from Access Space. Also, there are easier ways of accessing these libraries using the OS X Terminal and Macports. My own aim is to develop a range of utility programs for automatically capturing, compiling and publishing media so that it can be accessed quickly and meaningfully, and this is what Flying Monkey TV is all about. 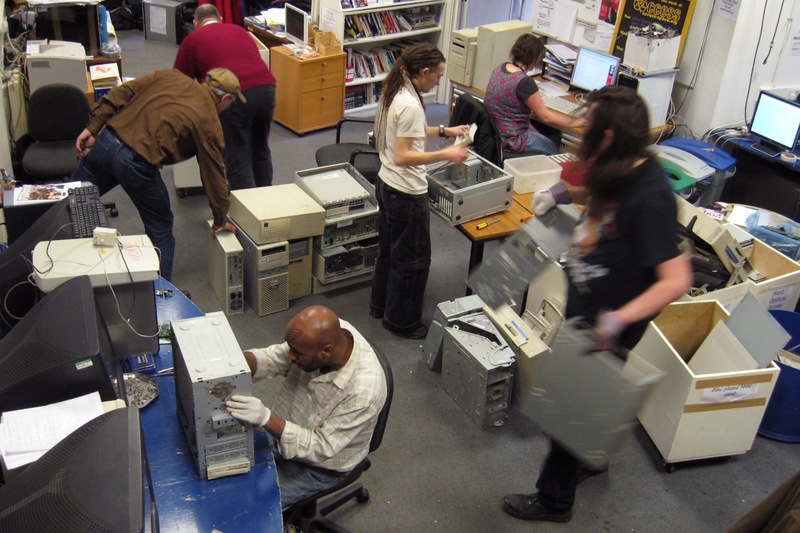 Volunteer Access Spacers and staff in full swing, recycling, re-using and re-purposing. It’s a terrible irony that Access Space, Sheffield, UK, has finally been recognised for its contribution but has had its funding cut by Arts Council England. Access Space has just been named one of 50 “New Radicals” by the National Endowment for Science, Technology and the Arts (Nesta) in partnership with the Observer newspaper, identified as organisations who are making Britain a better place to live an work. I first went into Access Space in 2001 to collect some obsolete BBC Micros for artist Paul Granjon to use in an installation for Lovebytes. Since that day, I have had a continued relationship with Access Space, scrounging hardware, visiting their shows, attending workshops and showing my own artwork there too. It’s very easy to walk past their building and not know that they are there at all, and their low profile belies the enormous impact the organisation has had. 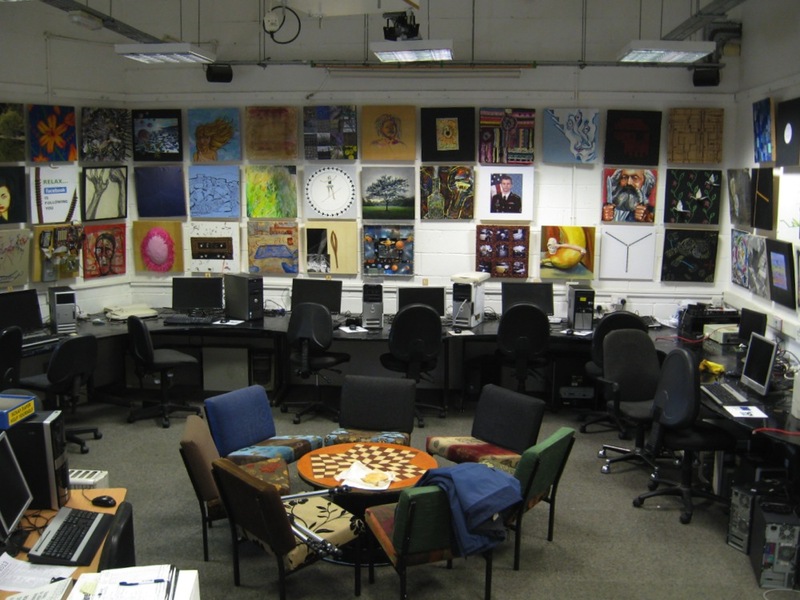 They provide open internet access to anyone, and run a programme of free events, exhibitions and workshops. Here are just two examples of how Access Space has supported me. In 2004 they provided me with a group of compact Apple Mac computers that allowed me to create my series of HyperScape generative works. These would simply not have happened otherwise, and this led me to be invited to exhibit and visit the Electrohype Biennial in Malmö, Sweden in 2004, and again in Göteborg in 2005. 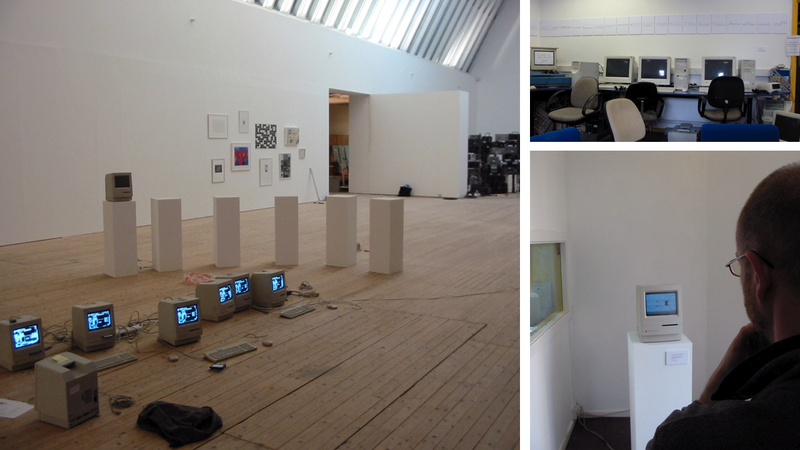 HyperScape 1 being installed in the Malmo Konsthall, Sweden in 2004 (left). HyperScape V (top right) and HyperScape IV (bottom right) in Access Space, Sheffield, UK. In 2011 I was awarded a Small Research & Development Bursary to progress electronics and software development towards external camera triggers for capturing timelapse video. I spent 8 days working at Access Space and progressed my project significantly. A number of my own projects would not have happened at all without Access Space, and after many years of receiving support from them, I am trying to bring something back into the space. Here is a promo video I made using timelapse shot during one of their computer recycling marathons. Most of the people you see are volunteers, paid only with pizza, and give their time freely. Day one of my Access Space Small Research & Development Bursary 2011.